We’re thrilled to be able to present a second erudite guest post from saxophonist and composer Rudresh Mahanthappa. 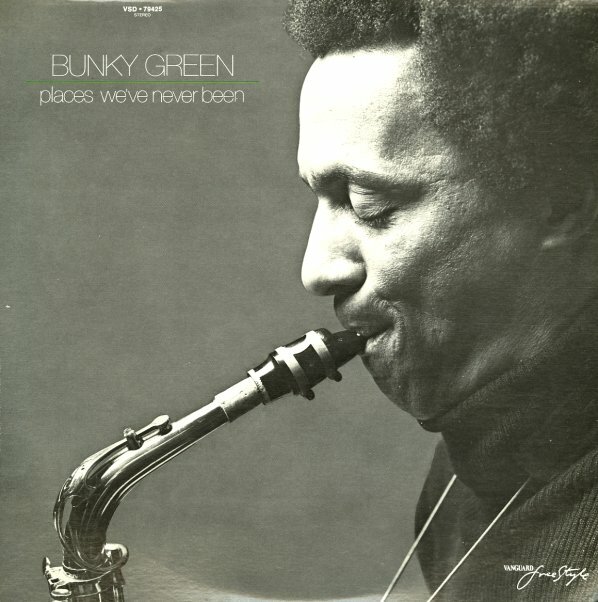 Here he riffs on his association with the unsung altoist Bunky Green, and provides several views and sonic snapshots of Green’s career to date. Over to you, Rudresh! I am honored to be back at D:O for a guest post! Last time I was here, I was discussing my relationship with Indian Classical music, as I had just released Kinsmen with Carnatic alto saxophonist Kadri Gopalnath and Apti with my Indo-Pak Coalition trio. Two thousand and ten marked another year of alto saxophone collaborations for me with the release of Dual Identity with Steve Lehman and Apex with Bunky Green. I imagine that many of you are familiar with Steve’s brilliant work but some of you know might not know the unsung alto legend Bunky Green. I am not by any means attempting to put forth an exhaustive history/discography of his work. For those of you seeking such information, the release of Apex has thankfully brought about a flurry of interest in Green’s work and impact. Bunky has been a true inspiration to me and has become a very special friend. Similar to the goal of my previous D:O piece, I wish to share my personal experience with this man and his music. Green is without a doubt under-recorded and much of his work is out of print. I hope that you find the attached tracks as moving and energizing as I have. This is obviously not a new idea as Bird, Trane, Duke Ellington, Randy Weston and a whole slew of others had done this previously. At the time, Kenny Garrett was in vogue and African Exchange Student was the alto album of choice — and it IS a great album. Around the same time, Dave Holland had released the landmark Extensions recording with Steve Coleman, and Greg Osby had released an amazing album called Season of Renewal. This work resonated deeply with me as I felt that I was hearing a maturely formed vision similar to my budding pursuits. Soon after, Steve came through Boston with Five Elements just days after recording The Tao of Mad Phat. Needless to say, I was blown away. Amazing! I heard a complete package: soul, passion, intellect, tradition, and innovation. After sitting with this album for a week, I went to Tower Records to look for more. 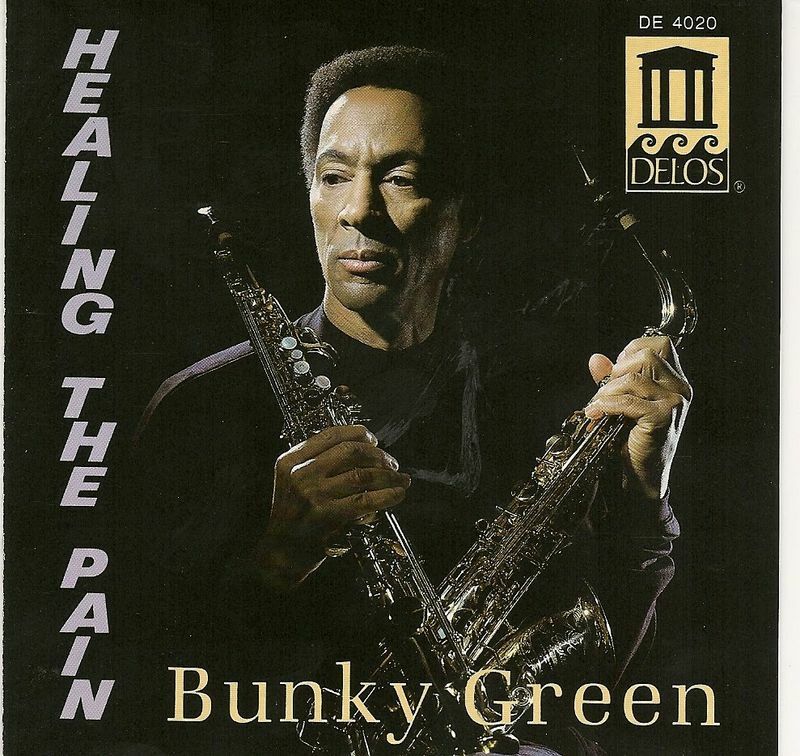 The only CD I could find was Healing the Pain, which I quickly purchased as the sales associate was trying to steer me towards an album featuring Woody Allen called The Bunk Project! Being the audacious student that I was, I decided to track Bunky down. These were the days before the Internet so it took some work. I figured out that he teaching at University of North Florida in Jacksonville. I called him at his office and asked him if I could send him some of my music to get some feedback. He graciously agreed to give me a listen. I sent him a cassette and he called me a few weeks later, at 8 AM on a Saturday morning!! After razzing me about not already being awake and practicing, he said that he enjoyed what he heard and to “keep doing what you’re doing.” This was a most welcome stamp of approval! After Berklee I moved to Chicago, Green’s old stomping grounds. Though Bunky had already moved to Florida, his status as a sort of iconic figure resounded in the same sphere as Von Freeman and Ira Sullivan. During Bunky’s Chicago tenure, a young Muhal Richard Abrams was his regular pianist and an even younger Henry Threadgill had sought him out for lessons. Nonetheless, it was still difficult to find his recordings. Thanks to the fabulous record collection of my good friend and brilliant bass trumpet player Ryan Shulz, I managed to hear some other great recordings that featured Green. The three that stand out to me are Transformations and two albums by Elvin Jones called Time Capsule (with George Coleman, Kenny Barron, and Milt Hinton) and Summit Meeting (with James Moody and Clark Terry). All three were recorded between’76-‘79 on Vanguard Records. I was unfortunately unable to find my copy of Summit Meeting, but here are two tracks from Time Capsule. Vanguard was trying to market Bunky as a sort of soul/R&B artist (à la Grover Washington). On his albums as a leader, there are quite a few cover tunes including “The Greatest Love Of All,” “What I Did For Love,” and even “The Entertainer.” From Transformations, here is Bunky playing “Feelings.” Yes, that “Feelings!” The intro is mind-blowing and is my reason for including this track. For me, it references something akin to Interstellar Space while beckoning the future. I later learned that Bunky was not thrilled about the label’s R&B direction. His contract with them allowed for him to make one album of his own artistic choice. This ended up being the aforementioned Places We’ve Never Been. Thank God!! Green did not always play like this. Just to put his work within a greater context, here’s a track from one of his first recordings, under the leadership of Paul Serrano called Blues Holiday. Cannonball Adderly produced this date for Riverside Records and was particularly keen on Bunky’s involvement. This comes courtesy of writer Andy Schwartz. Thanks Andy!! I had heard, and Bunky later verified, that he had taken a hiatus from performing in public during the 70s in order to work on the “new sound” that he was hearing. This sort of attention to conscious study and inquiry while remaining within the framework and tradition of jazz was another aspect of Bunky that I found inspirational. I was trying to do the same in my own way. Endorsement from a living role model who was only 9 years younger than Coltrane was invaluable. When in Chicago, I was working towards a Master’s Degree at DePaul University. The big band was invited to perform at the IAJE conference in Anaheim that year (1994). I saw Bunky at the conference and reminded him having sent him that cassette a few years back. He barely remembered that exchange. I was a featured soloist with the big band and invited him to attend our concert. In fact, I reminded him to do so each time I ran into him! After we played, Bunky was waiting for me by the side of the stage and gave me a big hug. He said, “There are only four of us . . . and together we need to take the alto saxophone into the future.” I’ll let you guess the identities of the other two. I had invited Bunky to come back to Chicago to perform as a guest with my quartet. Though he did want to do something together, he wanted to wait for a scenario that would be truly special. The concert was a smashing success, with over 10,000 people in attendance. More importantly, it was clear to Bunky and me that pursuing our collaboration was imperative. We started talking about personnel for an album. Jason Moran had recorded with Bunky on a Steve Coleman produced album for Label Bleu called Another Place. He was very excited to participate. I had also mentioned the project to my then-new employer Jack DeJohnette, who was also eager to take part. Jack had come up in Chicago hearing the elder Green regularly but they had never played together. After adding my men on bass and drums, François Moutin and Damion Reid (as Jack was to play on half the album), Apex came to life. Here’s a track that Bunky wrote for the session called “The Journey.” I believe that this selection highlights the prowess of each band member as soloist as well as the overall group interaction. Bunky and I continue to work together and we have several concerts planned for this year to which I’m very much looking forward. I hope that Bunky is encouraged to make more albums as a leader and that he receives his due as an extremely important figure in the history of jazz. This introduction to the great Bunky Green through my eyes and ears has certainly been a pleasure to share with you! One shameless plug: If you choose to purchase Apex from my website, you’ll get all bonus tracks and a few bonus videos the latter of which can’t be found anywhere else. A wonderful feature article by Ted Panken about me, Bunky, and the Apex project. An excellent interview conducted by Patrick Jarenwattananon: Part 1; Part 2. Thanks so much, Rudresh! For those of you who haven’t checked out Apex, we highly recommend you grab it now.